Set in the Syndale valley in an area of outstanding natural beauty, lovely village gardens will be open. Ploughman's lunches from 12.00noon. Cream Teas from 2.00pm. Beer from the village micro brewery and Pimm's in honour of its Newnham creator, James Pimm. 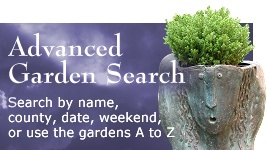 Two NGS gardens are included amongst those open. 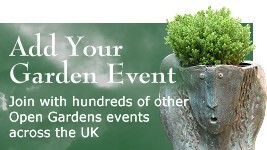 There will be a second event on 7th July when a different set of gardens will be open. Proceeds to Newnham church funds. £5.00 per person per day; accompanied children free. 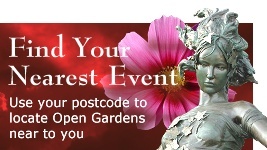 Buy a passport on the day from any open garden. Newnham is located between the A20 at Lenham and the A2 at Faversham. From M20 coastbound: Exit motorway at J.8 for Lenham and Leeds Castle. Take 3rd exit at roundabout off slip road, then 1st exit at next roundabout -A20 towards Lenham and Leeds Castle. At next mini roundabout take 2nd exit, leading onto next roundabout where you take 1st exit, towards Lenham. Continue along A20 for about 5 miles, passing through Harrietsham. After Texaco petrol station take 3rd turning on the left (approx. 3/4 mile), at crossroads- signposted Doddington ( Faversham Road). Continue for about 5 miles, passing through the village of Doddington, until you enter the village of Newnham. Take 1st turning on the left, Sharsted Hill and park in field on the right through gateway. From M2 coastbound: Exit motorway at J.6 for Faversham. At end of slip road turn left towards Faversham. At next T junction turn left, A2 towards Faversham, Ospringe and Sittingbourne. Continue along A2 for about 4 miles, passing through Ospringe. At next roundabout take 1st exit, A2 towards Sittingbourne. Take 1st left turn signposted Newnham (Look for the sign). Follow this road for about 4 miles until you enter the village of Newnham. Pass by the church, on your left, and take the next right turn - Sharsted Hill, and park in field.